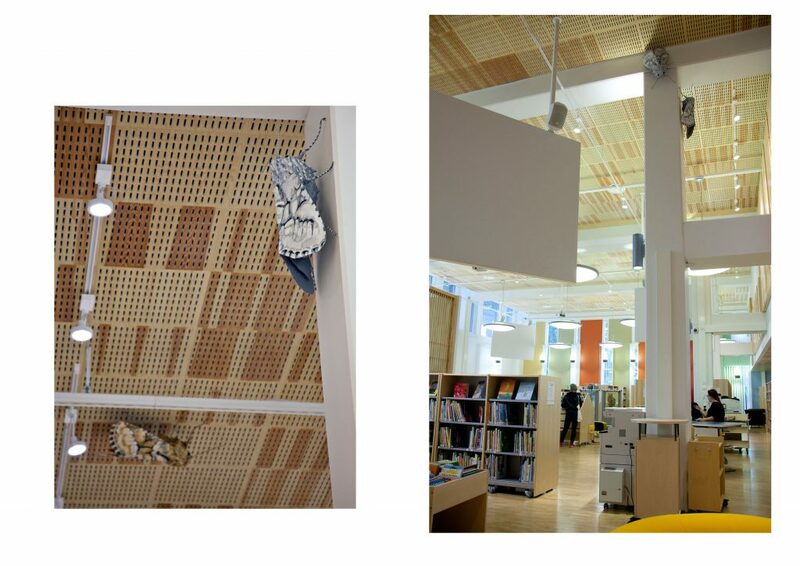 Seven moth shaped sculptures on walls and ceiling of Rajakylä Library. Painted aluminium and polyester resin. "...in heavily industrialised areas, pollution results in trees and other structures being covered in a layer of soot. This layer means that light coloured insects resting on dark backgrounds can be easily spotted by predators. This results in fewer light coloured individuals in the population and breeding between the darker form results in more dark forms. Over time there become many more dark forms of a species in the environment than the light form. 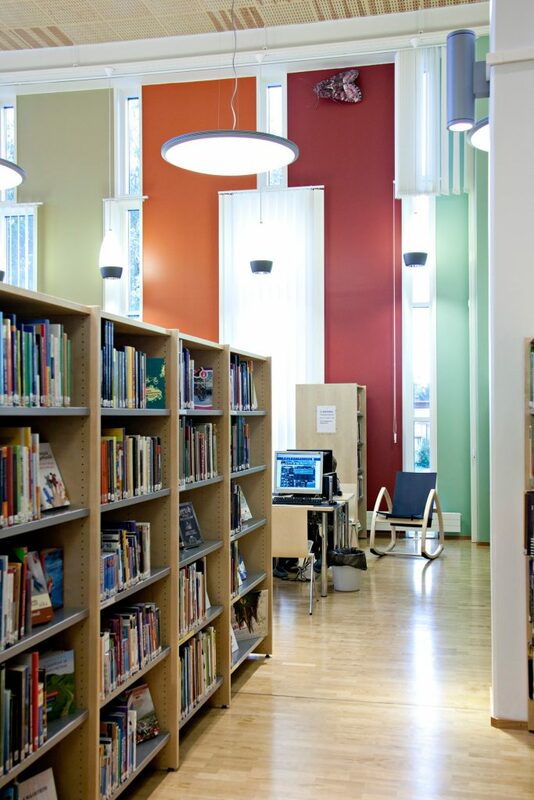 This is known as Industrial melanism"
In Shelter seven enlarged copies of moth Oligia latruncula are attached to walls and ceiling of Rajakylä Library. This species is specially sensitive to pollution in environment. Dark variations are common in industrialized areas. The color of butterfly is information and indicator of its environment. 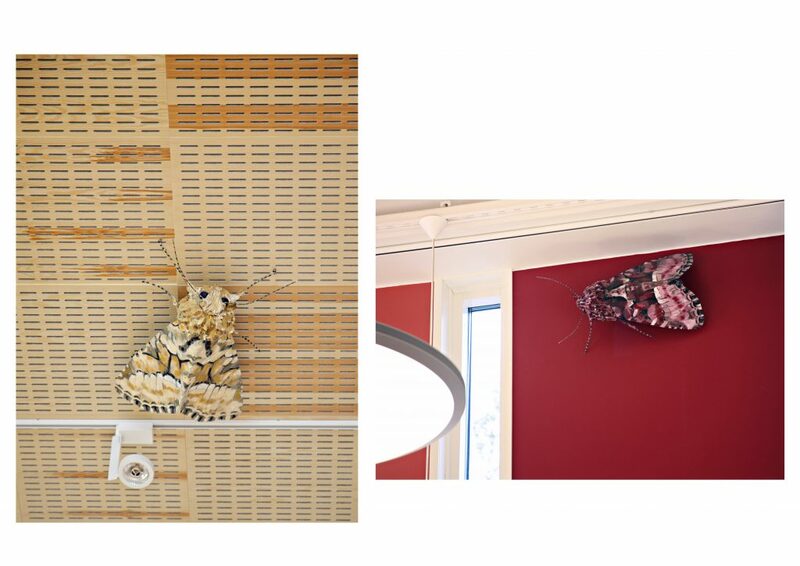 In library walls moths are painted according the colors of their background materials.